A visionary Russian director has offered his response to the 2014 Hollywood blockbuster Interstellar. This ape has masterfully learned how to use modern technology, as it’s been filmed casually browsing Instagram. The golden retriever is one of the most obedient dog breeds in the world. Their benevolent and kindly temper has placed them among the top three most popular dog breeds in the United States. 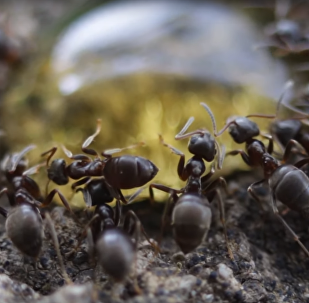 One drop brings all the ants to the yard. Can You Spot the Camouflaged Canine? This good girl really blends in!